I received product from Stampin' Up in exchange for this post, but as always, all opinions are 100% mine! Hey, y'all! I have a fun post to share with you today! Christmas is quickly approaching, and unless you've already started on your handmade gifts for the holiday, there's a chance you may not be able to create all the lovely presents you intended. 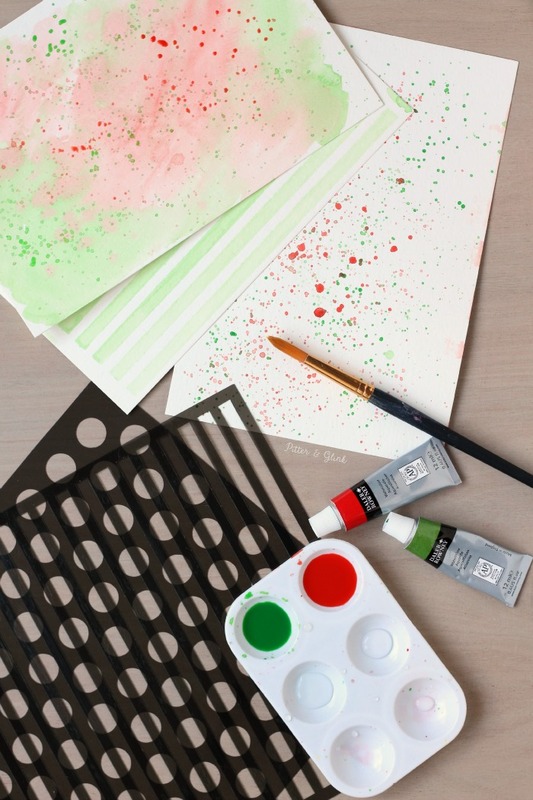 But that doesn't mean you can't add a handmade touch to store-bought gifts or gift cards. 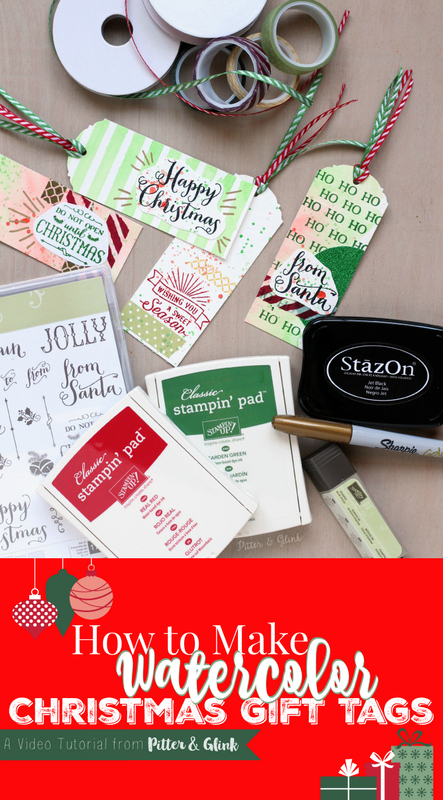 Today I'm showing you how to make trendy watercolor Christmas gift tags using products from Stampin' Up. 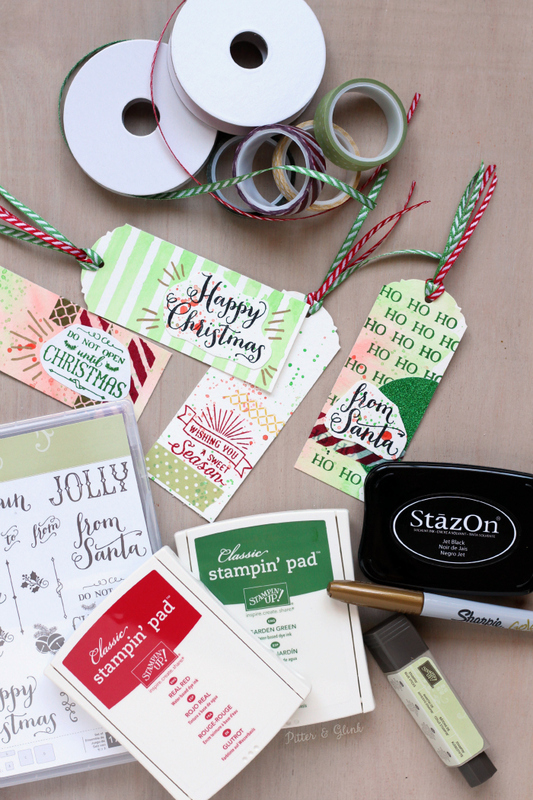 I filmed a video to show you exactly how I created the tags, and if you'll stick around until the end of the post, I'll be giving away several of the items I used to create my gift tags. Making several gift tags featuring different designs doesn't take long at all. Plus, the steps to make the tags are really easy to follow. Once my watercolor paper dried, I used a paper cutter to cut the paper into 2" strips. 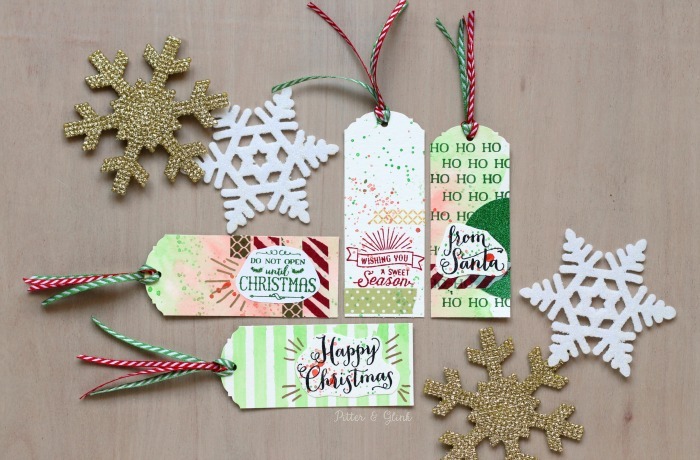 I used this awesome Ornate Tag Topper Punch from Stampin' Up to create my gift tags. 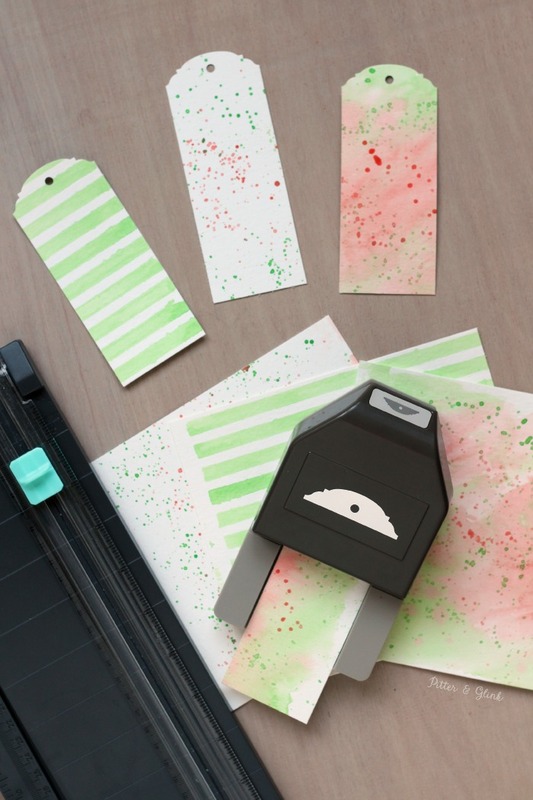 I love this punch because you can make a gift tag from any kind of paper, and if you leave your paper strip long, you can even create bookmarks using the punch too. Then all that was left was creating designs on my gift tags. I used the Oh, What Fun Photopolymer Stamp Set from Stampin' Up along with Clear Block "D," StazOn Ink in Jet Black, Classic Stampin' Pads in Real Red and Garden Green, Season of Cheer Designer Washi Tape, Real Red and Garden Green Ribbon, a gold Sharpie and a Stampin' Glue Stick to create all of the different tags. Check out the video below to see the full tutorial from beginning to end! Silent Night - my all time favorite. I Want A Hippopotamus For Christmas...and now I shall just go sing it for the rest of the day, it's so catchy! Santa Baby! Love your tags!!!! My fave Christmas song is Go Tell it on the Mountain! These tags are so cute! I love "Mary Did You Know" .... thank you for the chance and sharing these cute tags. Love being crafty for Christmas! It make your gift stand out from the others. I'm Dreaming of a White Christmas by Bing Crosby. Love the movie too. My favorite song?? I have to pick one?? Angels we have heard on high. Love your water color tags!! So pretty! I'm not sure I could choose just one favorite! I like a lot of Christmas songs! Thank you for this opportunity!! My favorite Christmas song in Oh Holy Night. Silent Night is my favorite and most memorable Christmas song.